Hoist Mi6 - The new and innovative successor of the Hoist V6! 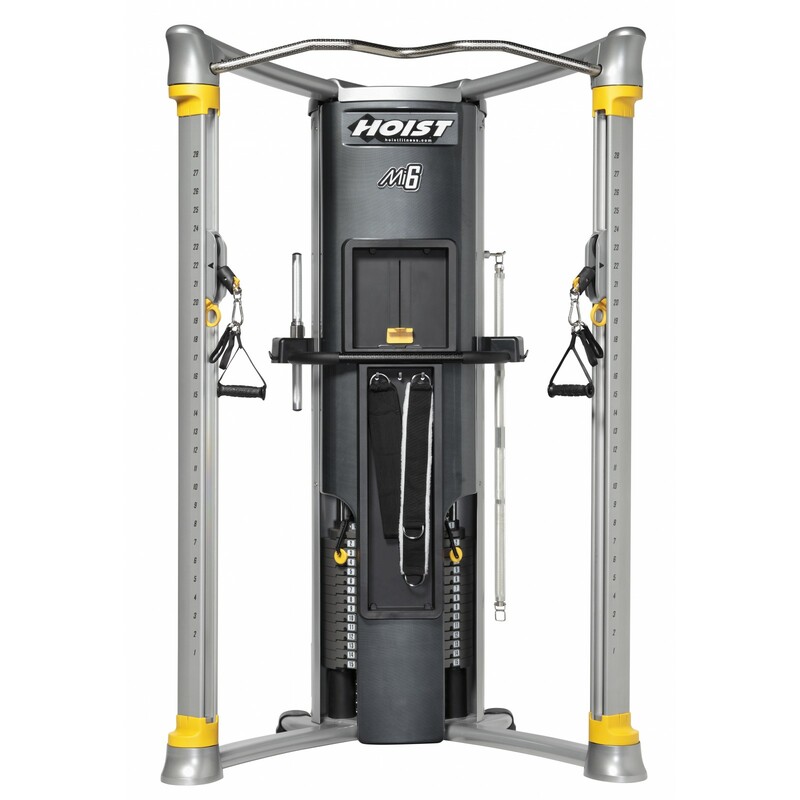 The innovation Hoist multi-gym Mi6 offers maximum flexibility in strength and functional training. Both cable pulls are adjustable in a 360° rotation, the patented rotation motion as well as the quick release adaptor make most versatile training varieties and easy adjustability possible. All in all, 28 different heights can be individually set on both cable pulls. The very sturdy and compact Mi6 is equipped with two weight blocks with a total weight of 150 kg ( 75 / 75 ), both weigth blocks can be easily adjusted in their level of resistance. In addition, the space-efficient multi-gym has a curved chin-up bar with most different grasping possibilities on the top for an effective training with the own body weight. The mounted storage compartment in the back offers space for drinking bottles, towels and further accessories. The multitude of exercise options the offers is impressive. Almost every training station and its exercise varieties can be replaced by the multi-gym of HOIST. Due to the 360° rotation of cable pulls, exercises of functional training are made possible. 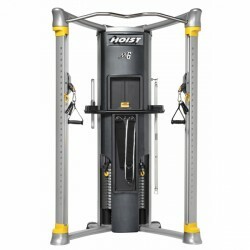 Hoist multi-gym Mi6 add to comparison list.